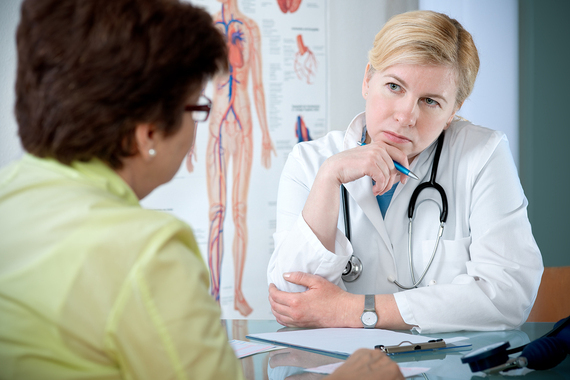 Does Medicare cover second medical opinions? The doctor I currently see thinks I need back surgery, but I would like to get some other treatment options before I proceed. What can you tell me? Getting a second medical opinion from another doctor is a smart idea that may offer you a fresh perspective and additional options for treating your back condition so you can make a more informed decision. Or, if the second doctor agrees with your current one, it can give you some reassurance. Yes, Medicare does pay for second opinions if your current doctor has recommended surgery, or some other major diagnostic or therapeutic procedure. If you’re enrolled in original Medicare, 80 percent of the costs for second medical opinions are covered under Part B (you or your Medicare supplemental policy are responsible for the other 20 percent), and you don’t need an order or referral from your doctor to get one. Medicare will even pay 80 percent for a third opinion, if the first two differ. Most Medicare Advantage plans cover second opinions too, but you may need to follow certain steps to get it paid for. For example, some plans will only help pay for a second opinion if you have a referral from your primary care doctor, and/or they may require that you can only use a doctor in their network. If you have a Medicare Advantage plan, you’ll need to call it to find out their rules. To find another doctor for a second opinion you can either ask your current doctor for a name or two, or you can ask another doctor you trust for a referral, or you can find one on your own. Whatever route you choose, it’s best to go with a doctor that’s affiliated with a different practice or hospital than your original doctor. Hospitals and practices can be set in their ways when it comes to treatments and are likely to offer similar advice. If you choose to find one on your own, use the Physician Compare tool at Medicare.gov/physiciancompare. This will let you find doctors by name, medical specialty or by geographic location that accept original Medicare. You can also get this information by calling Medicare at 800-633-4227. Or, if you’re enrolled in a Medicare Advantage plan, call or visit your plan’s website for a list of candidates. After you’ve got a few doctors names, there are a number of free online resources to help you research them like HealthGrades.com and Vitals.com. Or, consider AngiesList.com (888-888-5478), which is a membership service that currently offers doctors ratings and reviews from other members in your area for $3.50 for one month, or $11.32 for the year, but will be offering free reviews this summer. After you find another doctor, before you get a second opinion you’ll need to have your current doctor’s office send your medical records ahead to the second doctor, or you may have to pick them up and deliver them yourself. That way, you won’t have to repeat the tests you already had. But, if the second doctor wants you to have additional tests performed as a result of your visit, Medicare will help pay for these tests too. For more information, see the Medicare publication “Getting a Second Opinion Before Surgery” at Medicare.gov/pubs/pdf/02173.pdf.